When we first started dating, my hubby was definitely the main cook in the relationship. One of the dishes he LOVED to make included an amazing, spicy-yet-sweet sauce for chicken, that we’ve since included in many different recipes. We decided to put it to the test with this Sticky Finger Casserole, and it was a huge hit! 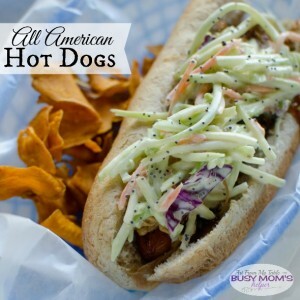 This easy recipe is super delicious, and would be perfect for a party or get-together. Note: if your chicken tenders aren’t already breaded, just dip them in some eggs, then flour to coat and bake as directed. In a large bowl, combine the pasta, Alfredo, green onions, tomatoes and 1 cup cheese until well-mixed. Spread into a sprayed 9×13 baking dish. Set aside. Preheat oven to 350 Degrees F. In a saucepan, heat the hot sauce and brown sugar, stirring often, over medium-high heat until sugar is fully dissolved. Using tongs, dip the chicken tenders in the sauce to coat well, allow to drip a moment, then place chicken on top of casserole. Repeat with all tenders. Sprinkle some more cheese over top, then place in oven and cook just until cheese is melted and casserole is warm throughout – about 15-30 minutes, depending on how freshly done the pasta and chicken was. Serve with more hot sauce mixture, if desiring more spicy! Let’s be honest – whether you love cooking or not, none of us have a ton of time to spend on dinner. Between homework, soccer games, and other appointments, there’s only so much we can do – but we still want a delicious, hot meal ready for our family. I’m so glad I have some amazing go-to recipes that don’t take a ton of work, and also don’t break the bank. 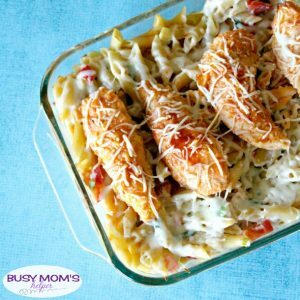 This Cheesy Sausage Pasta Casserole is a big winner with our family! You can whip up this tasty dish for less than $10, and easily grab all the ingredients you need at your local Kroger store. 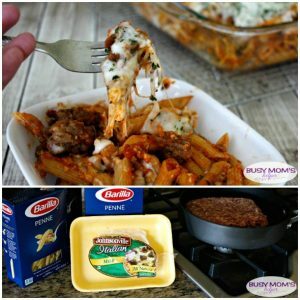 The main stars of this particular recipes are the Barilla Pasta (look for the Barilla Blue Box), Italy’s #1 brand of pasta, and the Johnsonville Mild Italian Sausage (ground). You CAN use the sausage links instead, but it works best with the ground so you can have some in every bite of the casserole. The Barilla pasta makes the perfect Al Dente texture, making dinner not only quick and easy, but versatile! We moms can sure appreciate versatility, right? The Johnsonville Sausage is convenient and full of flavor – the spices are built in, making recipe prep super simple. 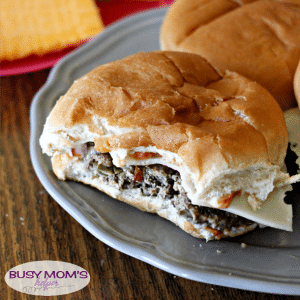 Since we want to provide the best for our families, we can definitely appreciate that they’re packed with protein, and a great flavor ‘swap’ for ground beef and/or ground turkey. Note: The Johnsonville Sausage comes in a 16 oz. pack, so you can make a double batch and freeze the extra casserole for later! Bake Barilla Pasta according to package directions, to al dente. Meanwhile, heat the olive/vegetable oil in a skillet over medium heat and cook the Johnsonville Sausage until cooked through, stirring often to prevent burning. Preheat oven to 350 Degrees F. Spray or line a 9×13 baking dish (or two if you’re doubling the recipe), set aside. When the sausage is done, add the diced tomatoes and minced garlic to the skillet and continue cooking, still stirring often, about 2 minutes or until fragrant. In a large bowl, stir the Barilla Pasta Sauce with the basil. Add a little salt, to taste. Mix in the shredded cheese trio (the Asiago, Romano and Parmesan combo) until well-combined. Add the pasta and sausage mixture to the bowl and stir until everything is well-mixed. Spread into the prepared baking dish. Top with shredded mozzarella and a bit more basil for garnish. Cook, uncovered, about 15-20 minutes or until the cheese on top is melted. Serve and enjoy! You’ll love the cheesy, meaty flavor in this pasta casserole – plus it makes putting a crowd-pleasing dinner on the table a breeze! Swing by Kroger and grab your ingredients, then get cooking for a delicious meal your whole family will love! I’m a huge fan of homemade pizza – well, all pizza really – but homemade pizza gives us a lot more control to customize it however we want! More tomatoes? No problem. A few slices without onions because the kids don’t like them? Sure thing. 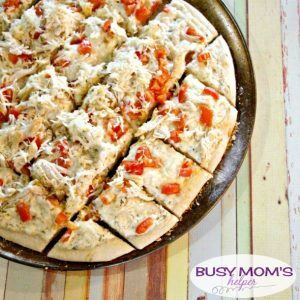 This Homemade Chicken Ranch Pizza is a perfect combo of tasty garlic, rich ranch and juicy tomatoes – it’ll please the whole family! I’ve mentioned a few times before, but I grew up in a pizza restaurant – my parents owned Pony Express Pizza growing up, so many days were spent there while they made pizza dough, cut toppings, spread sauces and more. I love it! It also gave me a love for REALLY GREAT pizza – this one’s a definite winner! Preheat oven to 375 Degrees F. Spread some Cornmeal on your pizza pan, then place your rolled out pizza dough on the pan. Spread a little bit of olive or vegetable oil along the edges of the crust, to avoid burning. For the sauce, mix all of the ingredients well. Spread on pizza, not quite to the edges. Top with 1 1/2 cups of the cheese mixture, then the chicken and tomatoes. Sprinkle remaining cheese on top. If desired, add some crumbled bacon! Bake for 18-25 minutes, or until crust is fully cooked and not doughy, cheese is melted and edges are started to lightly brown. Remove and cool slightly before cutting and serving. In preparations for my awesome Walt Disney World trip, I couldn’t help but look back at all the great times I’ve spent at it’s sister, Disneyland. The rides are exciting, the characters hilarious and fun, and the whole atmosphere makes it a truly magical vacation. 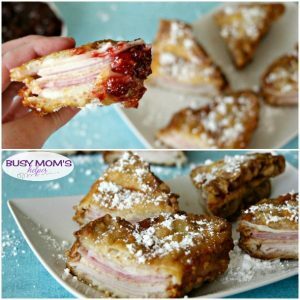 The FOOD is another thing that I can’t help but get really hyped about and remember – like the famous Disneyland Monte Cristo Sandwich! This copycat version is much easier to make at home that you’d think, and maybe it’ll help tide over the cravings until the next big Disney vacation. Contains affiliate links that help support this blog at no extra cost to you. See our Disclosure. Now, don’t worry if you don’t have a deep fryer – I just used a pot and tongs. Yes, tongs are your best friend with this recipe if you want to avoid getting burned! Just use common sense and be careful, especially if pets or children are anywhere nearby. If you’ve never tried a Disneyland Monte Cristo before – it’s such an interesting blend of a typical sandwich, fried outside, then served with powdered sugar and jam. I know, sounds weird, right? Just trust me – and the countless other people who rave about it – that it’s a must-try recipe! Make your 2 sandwiches. 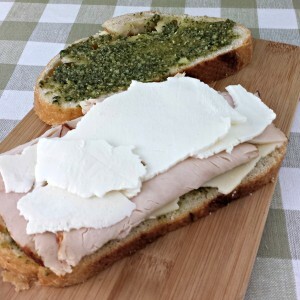 It goes: slice bread, slice swiss, slice turkey, slice bread, slice ham, slice provolone, slice bread. Repeat with second sandwich. Press down to flatten each of them. Cut in half diagonally. Heat the oil in either your deep fryer or a pot. Make sure it’s deep enough it’ll cook up the sides of each sandwich, too. Mix the batter ingredients until smooth. Dip each sandwich half into the batter, flipping so all sides are coated. Use tongs/etc. to place in hot oil and cook about 2-3 minutes each side, or until a golden brown. Remove and cool slightly. Sprinkle with powdered sugar and serve with raspberry jam. They’re best warm. Now you can whip up these delicious Disneyland favorites in your own home! And when you DO want to make another visit to Disney, be sure to check here for the best prices. Use Promo: BusyMomsHelper for $10 off your vacation package! Meal Plan on a Budget: Feed Your Family for Less than $5 Per Person a Day! Nobody wants to spend a ton of time or money at the grocery store, right? Yet it can be frustrating each week creating a meal plan! Now we’ve got you covered with the Meal Plan on a Budget: Feed Your Family for Less than $5 Per Person a Day! 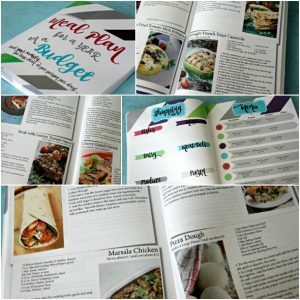 A Full 52 weeks of meal plans WITH recipes on a budget! PDF: $8 – that’s less than $1/month for a complete meal plan! That’s right, a WHOLE YEAR of weekly meal plans right at your fingertips, with all the recipes! Talk about easy, right? The weekly plans average to less than $5 per person per day – well, technically under $4 per person per day, but that leaves you room for buying snacks, drinks, desserts, etc. The meal plans rotate, so you get a large variety of meals and it doesn’t get repetitive. No, you won’t be having steak for dinner every single night, but you won’t be eating ramen noodles every week, either. It’s all about balance – and that’s where this is super helpful! The work is already done for you, so you just need to make your shopping list, get the supplies, and create the tasty recipes according to the plan. This is designed for 8.5×11, so the text and photos are beautiful and large. The printed book has a shiny soft-cover, perfect binding. Nab your copy from Amazon or a PDF download today! Note: prices were based on averaging a few regular grocery stores, without coupons or big sales. Your price may vary on store, season, and preferences (generic vs. brand name, organic, gluten-free, etc.) This is not nutritional or allergy advice. Use your own best judgement when feeding your family. School starts next month – NEXT MONTH guys! While this summer’s been full of plenty of fun, family visits and outings, and lots of playtime with the kiddos, I’m still in shock that soon we’ll be waking up early (well, earlier), hurrying to pack lunches and race kids out the door. Then afterwards it’s homework, maybe sports or dance lessons and hoping we have time to fix a quality meal for everyone. Crazy, right?! Luckily there’s some quick dinner recipes you can rely on, like this One-Pot Spicy Noodle Soup – it’s not only fast with minimal dishes, but it’s bursting with delicious flavor! The key to this is using ingredients that are already part-way there to a great meal, like the Campbell’s Chicken Noodle Soup. 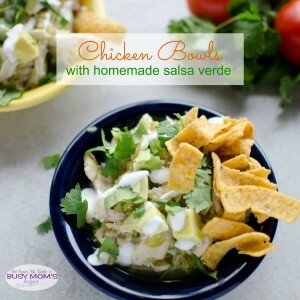 Adding in the Pace Salsa adds a nice kick, while the chunky adds to the overall dimension and texture of this tasty dinner. Just nab these and the other ingredients at Wal-Mart, then you’ve got the making of a quick and easy meal! In a large saucepan, mix all of the ingredients (except toppings) over medium heat. Bring to a boil, stirring occasionally, then simmer about 5 minutes. 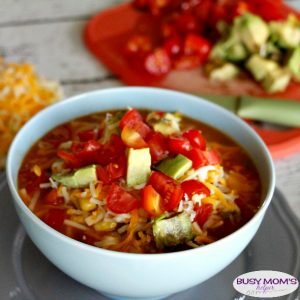 Scoop into soup bowls, then top as desired with fresh tomatoes, avocado, shredded cheese and even sour cream if you’d like! Okay, does it get much easier to make a filling, tasty dinner that whole family will love? Not really! 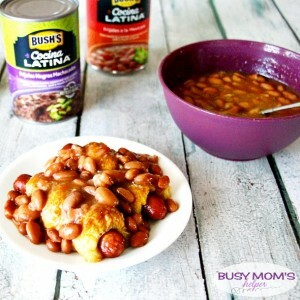 Now you can whip this up for those busy school nights when you’re in a hurry, but your family still wants a quality meal. I love having recipes like this on-hand all the time, but during the school year it’s especially true! And what goes great with saving time and stress during the hectic school year? Saving money, of course! Right now you can nab this coupon to save on the Campbell’s Chicken Noodle Soup, Pace Salsa and even Prego Italian Sauce and V8 + Energy drink, so you can save more on the products you love. Check out more Back to School Greatness from Campbells HERE! As great as it is to try unique, funky recipes with long names, sometimes there’s nothing like a good ol’ cheeseburger, right? Well, even your basic burger can be made even more flavorful and amazing with these fantastic Blended Burgers. Trust me, blending in the tasty mushrooms and other veggies take your normal beef burger to a whole new level! I have to admit, this started out as hubby’s idea. Yes, he comes up with amazing recipes, too! Not only is it a great idea for the great taste, but you can blend finely chopped mushrooms with meat to create more delicious, nutritious and sustainable meals. Blending mushrooms with meat adds an easy serving of vegetables to the plate – then once you add your other favorite burger veggies, it’s a very healthy dinner! Chop up your favorite mushroom variety to match the consistency of the ground meat. Blend the chopped mushrooms with the ground meat. Optional: Prior to chopping, roast mushrooms for 10-15 minutes to enhance flavor. Cool, then chop and blend. See, super easy! Now on to creating these delicious blended burgers – keep in mind, you can switch up these other veggies based on your preference. Don’t like tomatoes? Leave them out. Not much of an onion person? Don’t add them. Other toppings for the finished burger: sauces, lettuce, cheese, etc. Note: when buying your ground beef, remember that the higher the fat content, the more easily the burgers fall apart. Follow the steps for blending your mushrooms above, then blend them together with the ground beef. Mix in the other finely diced veggies into the mushroom-meat mixture. Cook your patties to your desired done-ness, then finish your burger with any sauces, lettuce or cheese you prefer. 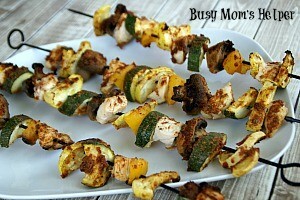 These were so full of flavor, and I was thrilled they were healthier for the family. Not that the kids cared, but later they’ll appreciate that I looked out for them, right? There’s so many other things you could do The Blend with, too, such as Shephard’s Pie or Lasagna. So don’t be afraid to give it a try with your other beef recipes, too!